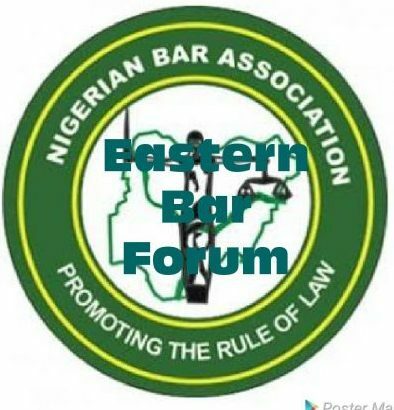 The Eastern Bar Forum (EBF) last Saturday held its quarterly meeting where Chief Arthur Obi Okafor SAN was endorsed as the preferred candidate of the EBF in the forthcoming NBA presidential election. 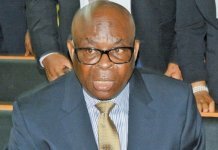 The emergence of Chief Arthur Obi SAN was greeted with mixed reactions. 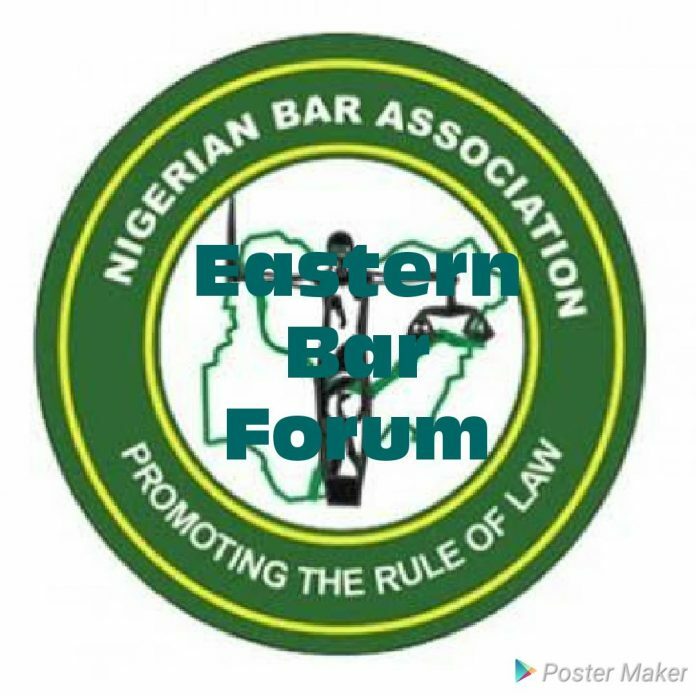 Most importantly the other NBA Presidential hopefuls; Professor Ernest Ojukwu SAN, Paul Usoro SAN and Mazi Afam Osigwe all boycotted the meeting of the EBF. DNL Legal & Style spoke with the three Aspirants with a view to finding out the reason why they stayed away from the quarterly meeting. “Immediately I entered the race, it was very obvious I was not welcomed. The EBF leadership didn’t want to tolerate me. There are several incidents which I can point to as to confirm this. One was the party organized in Lagos where my contribution to the organizers of the party was at par with Arthur Obi Okafor’s contribution and to my surprise I was treated like an outcast amongst my own people. While Arthur Obi was welcomed with an ovation, I was not welcomed neither was I recognized. It means nothing to me because I am used to not getting things easily but we all know that in politics nothing is taken for granted. It was not fair to me. The EBF Governor later alleged that I sent my people to attack him at a party. The truth is, that my supporters were not happy with the way I was treated and reacted not particularly against anyone. I still took it upon myself to reach out the the EBF Governor Arthur Chukwu but he never took my call. I made several effort to meet and explain myself until Austin Alegeh SAN intervened and he gave me appointment to meet him at a hotel. Even when I did he continued to insist on what I did even when his friend who was at the hotel with him pleaded with him to hear me out. Anyway, there were other things. So I am not going to attend a meeting where the Leadership show their preference openly and deliberately undermine others. 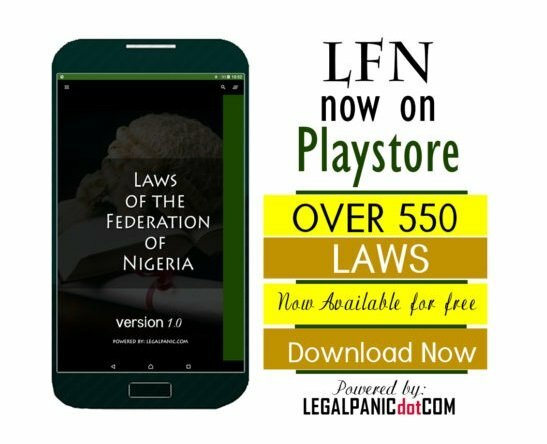 Again the EBF as we know it now has become highly monetized. We all know how the EBF meeting was conducted. But now it has become some kind of Carnival where the State Governors are now brought in to meddle into the events. They have undermined the reason for creating the Forum and have monetized everything. 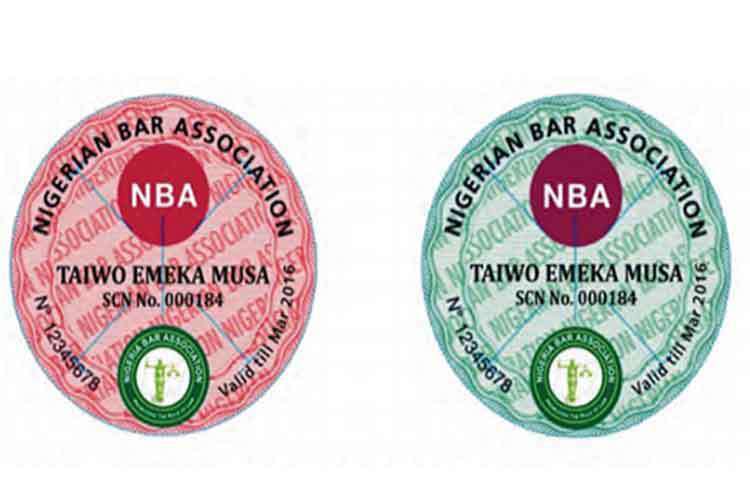 On the allegation that he once benefited from the process of EBF Endorsement and emerged as the Secretary of the NBA. Mazi noted: I lost confidence in EBF since 2014 when the members stopped being true to their commitments. Candidates were endorsed and the same members of the EBF worked against them. Even after my endorsement many of them supported openly my opponent Joyce Odua but I defeated her. Arthur Obi Okafor supported a Kaduna candidate. The records are there. Even the process of endorsement is no longer followed. Initially, EBF endorsements were done outside of the general meeting and involved a committee comprising of the Governing Council, Chairmen of Branches, Past Presidents, Past Secretary Generals and SANs who are members of the forum. For branches to vote they must have paid their membership dues and the contestants must have attended 50% of the meeting and must have paid practicing fees as and when due for three years or so. If all these methods were followed they were kept as secret. Nobody can have confidence in the present arrangement. It should worry the EBF that Aspirants lack confidence in their processes. This time around it was not about Afam Osigwe alone. A student that scored 25% in an exam failed. The question they should ask themselves is why and how did things get to this all-time low level. EBF doesn’t know the manifesto of these people they are endorsing. This should not be so. Endorsement or no endorsement the election would be held and the candidate with the best agenda would eventually emerge. Mr. Paul Usoro who was rather busy with a prescheduled engagement referred us to Mr. Ememebong Nicholas Udoh who informed us that he was at the venue of the quarterly meeting and had this to say. The reason, apart from the politics of sentiments was that sometime ago, the EBF issued a letter disqualifying Paul Usoro because he is not a member of EBF and that he shouldn’t even come and contest. Also in the letter, they published that it was not the turn of Akwa Ibom to produce a candidate. So we asked the question, when did the Igbo man not contest NBA election. It is on record that Igbos have produced President 5 times. In the history of EBF anytime there is election an Igbo man would contest. It would have been a 7th time if Okey Wali lost out. Now the Presidency has been zoned to the East again and AkwaCross have never participated and now Paul Usoro comes out as a member of the NBA Ikot Ekpene Branch Akwa-ibom State and we are saying give us for the very first time. We were not happy with the blatant disqualification without even allowing him to clearly indicate interest and to even hear from him. How was the endorsement done? The endorsement of candidate is meant to be done in a clear and straight forward manner. Usually they would ask people to file in their interest. When the committee is set up, all the candidates would appear before the committee for screening and afterwards the report of the committee is presented to the general house and the candidates would address the general house and then the house can assess them. Sometimes a person that performed poorly at the screening may do well to win some points with the house. This was not done at the meeting rather, a night before the meeting they sent text messages that there would be a meeting before the meeting to the Chairmen and Secretaries. I am the Secretary of my branch. When we got there, they said the secretaries would no longer come in but only the Chairmen. To even take this kind of decision of endorsing a candidate, the Branch Chairmen should have been pre-informed so as to get the mandate of their branch members on who to vote for. This was not the case. No information was given. They never had a chance to discuss this with their members because the information came just a night of the arrival. They even ordered one of the Chairman of a particular branch to walk out of the meeting. The Chairmen of Uyo and Oron stayed through and informed them they cannot vote because they did not discuss with their members and then pulled out. They did their pre-meeting hurriedly and came to the general house and within a few moments called for motion for adoption and somebody raised his hand and said observation, the Governor of EBF ruled the person out of order. A senior member of the bar. A man called GOC. GOC stood up and said they must do things properly but they did not listen to him they ruled him out of order. I was in that hall. Any body that tries to talk not favouring their position was ruled out of order and mic collected from them. A particular lady stood up and asked if this was the final decision or something to be deliberated upon but they also collected the mic from her. They eventually got a motion and seconder, people were shouting counter motion but were ignored. And then after that there was no deliberation and they just requested for those in support and that was it. That was when the entire house became rowdy. He noted; yes there was chaos. People really started arguing, fighting, clothes were torn, someone’s head was broken and there was total breakdown. I also heard that some people were saying it was Aba Branch arguing among themselves and not as a result of the endorsement. That is a lie. 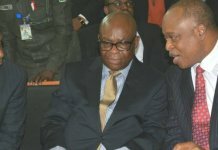 Aba branch happened to be the branch of Prof. Ernest Ojukwu. How can they possibly say it is unconnected? Why did they wait to come to EBF to fight among themselves? Why did the fighting happen at the very point the endorsement was made? I have pictures and I have proof. At a point they locked the entrance gate nobody could go out. I was there and I saw things happen nobody who is true to himself can say there was no chaos. They manipulated the whole thing because they have sold their conscience to money. This is a clear example of the kind of people that want to come and lead the bar. If you are getting endorsement by fraud what are you really coming to do? Again you cannot gag others. You must allow all the people who indicated interest to contest. With the zoning you cannot even be talking about endorsement. We condemn the action of the EBF and we call on all other camps to rise up and condemn what happened at the EBF. It did not speak well of EBF and would undermine the status of EBF as an umbrella body. EBF should bless all the candidates and not discriminate against them. You cannot chose one of your children over the others. Besides the ban has not been lifted. How do you know a candidate? Have they even purchased a form? What is their manifesto why are you being hasty? 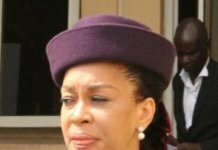 Professor Ernest Ojukwu SAN was contacted but he chose to be silent on the issue.